Glenora ferry or near Balleville?? this time of the year where is better place for walleyes? Adolphus reach but that is near Picton. The migration should be happening. I have been looking into a charter for walleye down that way for end of October. That seems to be the best time frame for the larger fish. I may be wrong but thats what I was told. Still too early for the migratory fish. 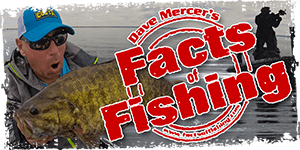 Read a report the other day of some guys working the weedlines outside of Picton Bay and connecting on some 4-7 pounders by throwing crankbaits. Might want to give that a shot. As mentioned, it's still too early for the biggins! You would be fishing residential fish at this time of year... weed lines near deep water, blades with meat. You may find some of the biggins beginning to stage near "The Gap" where Adolphus opens up to Lake O. Fishing shorelines on the lake side might find you some fish. Good luck and yes we like reports and pics!! !